In 2006 when I last took the family to Victoria we stopped at Glenrowan, famous for the Ned Kelly siege. 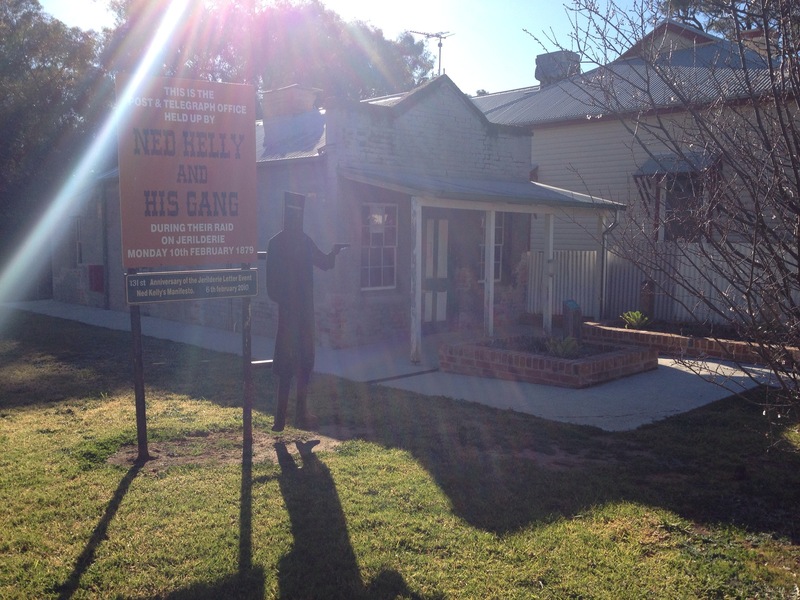 Today we’re in Jerilderie, famous for the other Kelly raid and his letter. They’re keen to show it off, and there’s a little historical area with a lot of still standing buildings and displays. A nice bakery for breakfast too.